Everything was wonderful. The 4of us had 4 different entrees and each looked and tasted great. The service, as usual was just right. The only complaint was the noise level was almost overbearing. hardly could have a conversation at our table. People were having fun and we appreciate that but the acoustics of the room needs some work. But all in all, one of our favorite places. Also had lunch there earlier this week which was also very good. 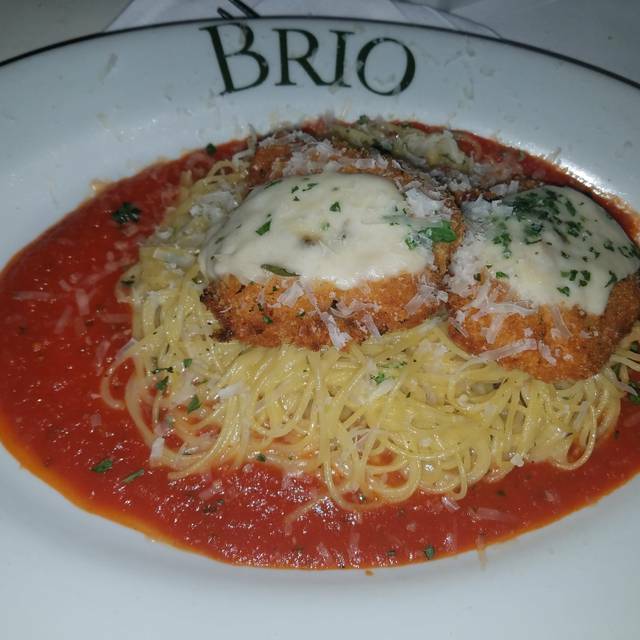 Always a good time at Brio. Food is tasty and reasonably priced. The only issue is the noise level. Not a good spot for a romantic dinner. I’ve been going there for years, however they have changed their menu recently. Some of my favorites are now gone, so I probably won’t return. It was great. Our waiter was super and was celebrating my niece Birthday. What was supposed to be a fun dinner with friends celebrating my pregnancy ended up becoming a complete disappointment. Our server, Matthew, did poorly at his job. He was not diligent with refilling our water. I found a foreign object in my pasta, brought it up to Matthew, and nobody, not even the manager, came to our table to apologize nor offer to rectify the situation. To make things worse, they still charged us for that plate. We had to remind our server of what happened and ask him to fix our check. We were still picking on our dessert and he started taking our dessert plates without asking if we were done. He had the audacity to tell us to hurry up with closing our check because his shift had already ended. We all have worked as hostesses & servers at fine dining & casual dining restaurants on the Strip, so we know what it's like to work passed your scheduled shift to accommodate guests. You do not passive-aggressively urge your guests to leave because your shift is over. You also do whatever it takes to improve your guests' experience, especially when they find a foreign object in their dinner plate. We used to like Brio, but we won't be returning here especially after this disaster of an evening. The food is delicious and the price is great!! 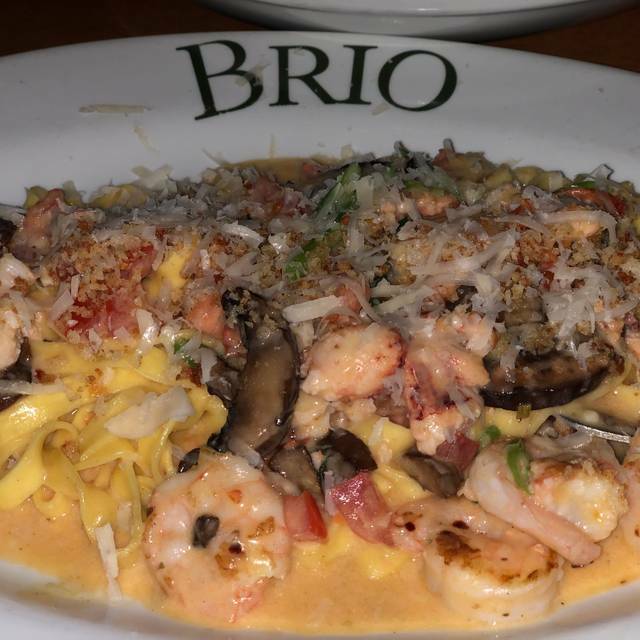 I love Brio’s. What a find! Came here on a Tuesday night and the waiter Biff couldn’t have been nicer. His recommendations- the lobster ravioli and the lamb chops were unbelievable- super. The pasta with vodka was also a winner! It was quiet, where I could actually speak at a normal volume and not have to yell. The waiter, Lamar, was very attentive. My mom has a lot of allergies and he took the time to write them all down and make sure that he choice wouldn’t have any of her allergens added. Very attentive service wise, always checking on us. The table bread was nice and warm. We have a new spot to eat now. Thank you for the wonderful experience. Food was excellent. We were seated promptly. Service was OK--they were very busy with what I think was prom night. Our dining experience started off slow and had us at the point of almost walking out, as it took more than 20 minutes before we were able to grab someone to wait on us. Once a waiter from another section helped us, his recommendations and service were Outstanding. Great as always! Amazing service and ambiance. A very enjoyable experience. As usual the chopped salad was delicious. The black bean soup was just okay. All items were well plated and service was great. Hot delicious coffee. Food was good. The staff had to move us once to accommodate a larger group, but they were polite about it. Our reservation was honored with no problems. The atmosphere noise was a little higher than I remember. Evan was fantastic! Five star service! Food was delicious and more than generous portions! The BOGO on the "returning guest favorite" was an excellent deal! Interior decor is beautiful very pleasant atmosphere. PLEASE try this restaurant if you've never been, I don't think you'll be disappointed. 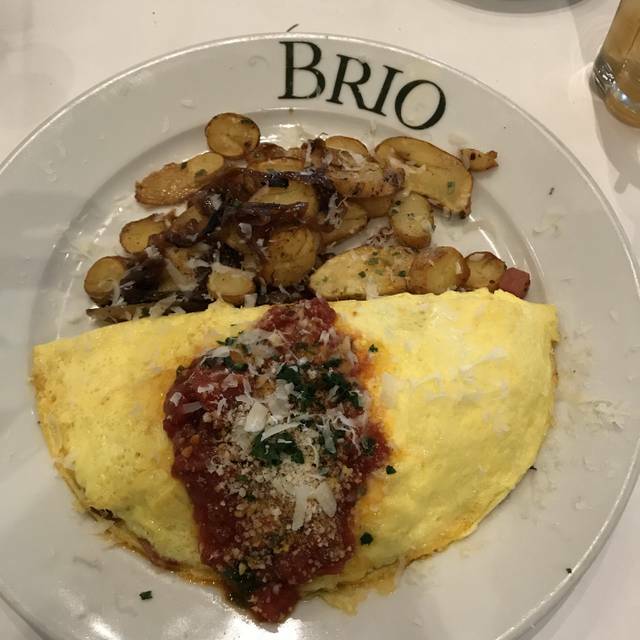 Love BRIO and Frank is the best. Our experience was terrible. Forgot our bread gave us a nasty cappuccino brought out a wrong dessert. Food was excellent, service was very good but the level of noise made it difficult to have a good conversation. During busy times, it's always like that and I don't have any suggestions to make it better because people are together and enjoying each other. The louder it gets, the louder I have to talk over them to converse with my people. Compared to a previous visit this one was very disappointing. Saturday night and all the less expensive wines by the glass were "sold out." Hmmm.... The gin and tonic arrived without lime, low on alcohol and fizz. No bread was offered; we had to ask. My meal was so mediocre I don't even remember what I ordered. My wife's salmon was fine. I'll go one more time, hoping for a good two out of three. 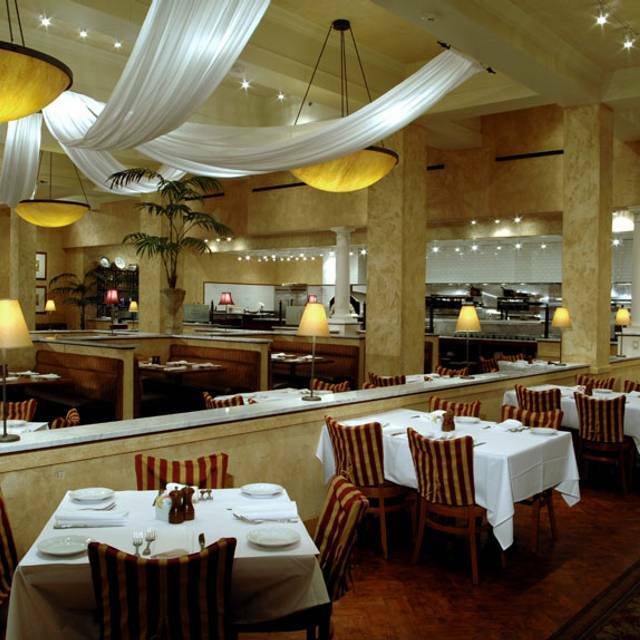 Very good traditional Italian favorites, a pleasant room, and excellent service. We had a very nice Sunday brunch and celebrated birthdays. Gluten free menu and excellent service! I wish the gluten free menu had more in it. 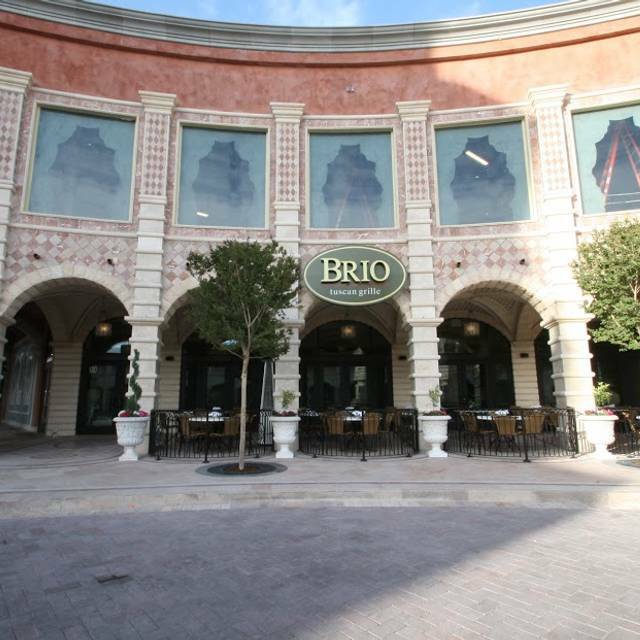 Before your company went to Brio Mediterranean, you had more dishes like the chicken with lemon, potatoes, and roasted vegetable, etc. 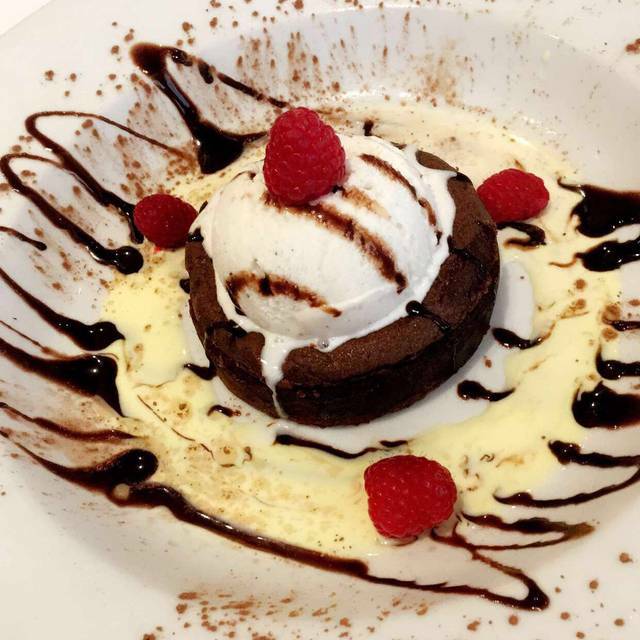 You even had more choice desert. Love this place! Prompt food delivery, courteous service. Was able to get in and out quickly, in under 45 minutes. Great for kids! Didn't really like the vibe in the restaurant, we were celebrating our sister's engagement & did not receive any acknowledgement from the staff. We didn't see a host upon our arrival, we were greeted by the bartender that came running from the bar. I received an email from opentable stating i had not made my reservation...then it made sense, the bartender was probably just trying to seat us and didn't look at the notes on the reservation. It all just seemed a little unorganized! Blah! This is one of my favorite restaurants to eat at when I go to Vegas!!! Everything was fine except that they ran out of the ingredients needed for the salad I ordered. Food and service was very good. Room could have been warmer. I love this place. 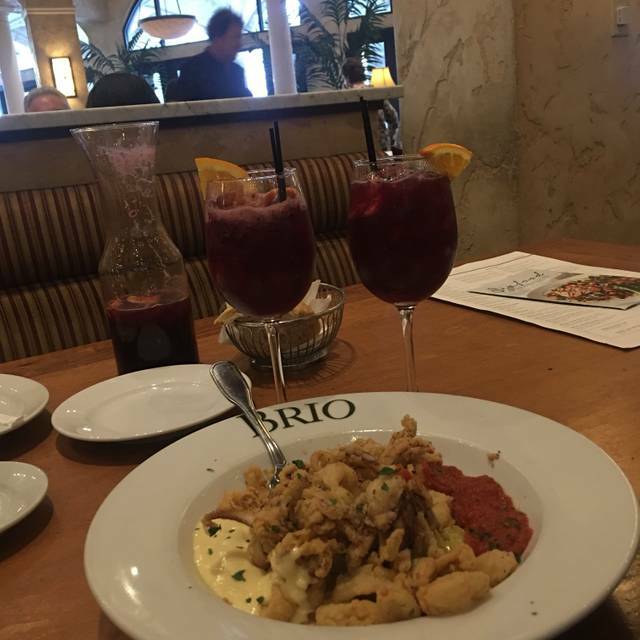 On a very rare cold, sleeting day in Las Vegas, my husband and I went to the bar at Brio and had some heartwarming Italian food while we shook off the chill. Our server, Jen, was wonderful. We were in time to get the $5 Mimosas and Bloody Marys, and tried their sample of the new Shrimp Capri dish. Wonderful way to spend a cold and snowy winter Sunday! The two tables that were pushed together for our group was off centered which made one of our drinks knock over and spill everywhere. We had a wonderful meal and total overall experience! Service was spot on, our drinks were never empty and the food quality was top notch. We enjoyed an appetizer, soup, entree and dessert. Pricing was appropriate and reasonable. It was a wonderful way to celebrate the day. 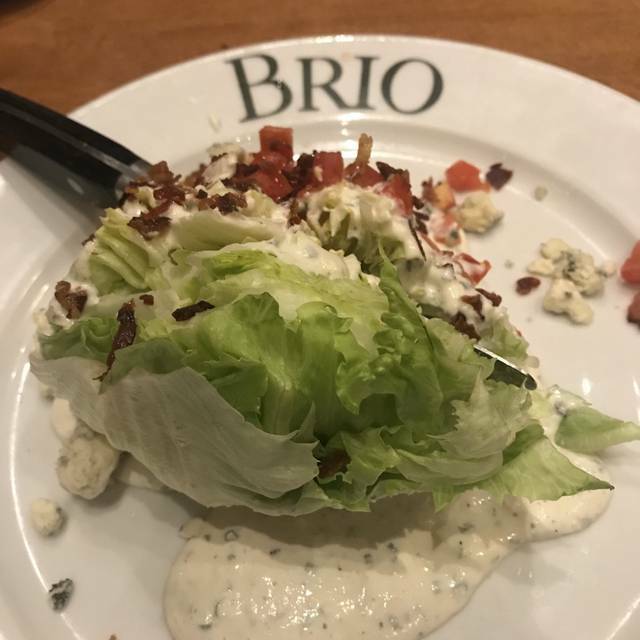 Thank you Brio! Not a bad easy dinner place. Ooooo. My dinner was so delicious! Just outstanding. Salmon Fresca....Highly recommended! We really enjoyed the food and the waiter was very helpful. It was the best Italian food we have had in a long time. We plan on coming back for lunch in the near future.